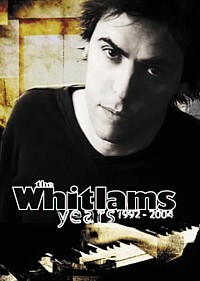 The Whitlams tumultuous career is captured here in this extensive visual document. From the deaths of band members to record breaking success, through their first interview backstage in 1993 to live vision from every incarnation of the band; from archived TV performances to symphony orchestras, through documentaries on the making of their albums to ARIA Award speeches, these DVDs contain the complete history of the band. The first DVD contains a complete catalogue of film clips, interactive discography and timeline, with over 90 minutes of documentaries and behind the scenes tour footage. The second DVD presents their Torch The Moon album launch of 2002, shot over 3 nights at Sydney’s Metro Theatre, captured on 6 cameras and mixed with 24 track clarity. It celebrates the current band line-up in home town delight. Features:6 hours of footage, 53 Whitlams songs, 6 Documentaries, “Torch The Moon” album launch, Film Clips with commentary by Tim Freedman, interactive discography, family tree of band members, interactive timeline of every gig, early live footage and interviews.